Massage is a general term for pressing, rubbing and manipulating your skin, muscles, tendons and ligaments. There are many different techniques in which you can use massage to manipulate the soft tissues of the body, ranging from light stroking to deep pressure. A good massage therapist responds with the appropriate touch the body needs at that particular time. They will diagnose different muscular patterns during the process and respond with the technique needed to bring the tissue back to a balanced state. Hard pressure is not fit for everyone’s body, nor is light therapeutic touch, so finding the right practitioner that your body responds well to is worth staying with. Lymphatic drainage massage consists of light pressing touch and techniques to stimulate the lymph nodes, encouraging lymphatic detoxification. The lymphatic system generally relies on physical movement for lymph movement so this type of massage is great for anyone with reduced physical movement, pregnancy, cancer, or toxicity and swelling issues. 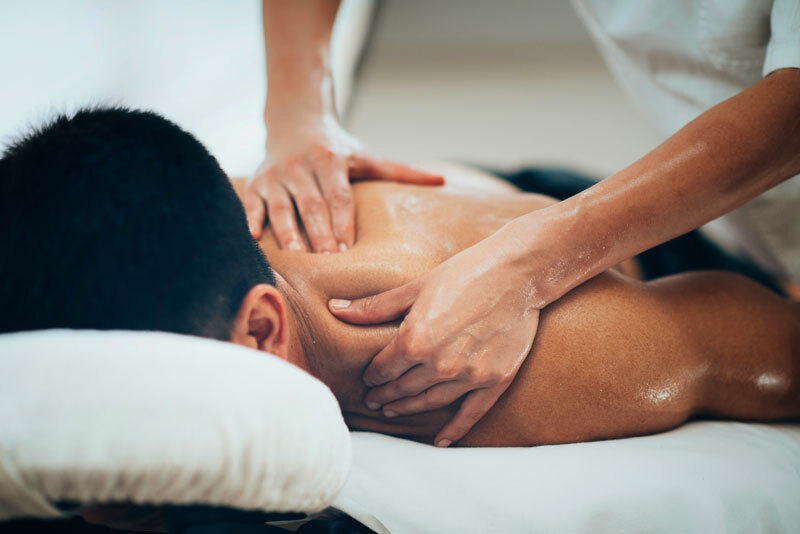 Whether your need is to de-stress and relax, reduce muscle tension or get relief from chronic pain, a therapeutic massage can enhance your overall sense of emotional and physical well-being. Physio and massage go hand in hand. Physios use some massage but usually not the extent you would get with a massage therapist, so if the touch the physio does helps you then consider using some massage alongside. A Physio also points out areas of weakness and areas of tightness, massage can release those tight areas, whilst a physio can encourage strengthening exercises to build the weakness, this brings the body back to a state of balance nicely. Chiropractors are focussing on spinal alignment and correct joint movement. Muscles attach the skeletal system together, therefore directly affects bone and joint alignment integrity. Massage before chiropractic work is a very intelligent move, releasing the muscle tension from the spine will make adjustments easier and stay aligned longer. – Acupuncture is also good at releasing muscles but when a person shy’s from needle use or prefers hands-on touch then massage becomes the choice of therapy. If an area of your body is really tight utilise both to get on-top of pain and discomfort. Tomo is a very skilled Japanese Massage Therapist that completed a Diploma in Sports and Therapeutic Massage in 2013 from Southern Institute Technology in Invercargill. Tomo takes her work seriously as a health professional, she does her own diagnosis and treatment plan, keeps notes, and creates change. Don’t be surprised if she’s checking your chiropractor’s notes to get a deeper understanding of your injury, or suggesting particular stretches to your physio. You go to Tomo to get more than just a massage. Her massage style is to blend various massage techniques which will tailor to the needs of the individuals. Her approach is very medical based and enjoys a good challenge in correcting a persons health pattern, which for Tomo goes beyond standard muscular health to the intricacies of looking and treating holistically. Tomo’s vast amount of skills include; sports, therapeutic, pregnancy, relaxation and hot stone massage, trigger point therapy, neuromuscular techniques, lymphatic drainage, PNF, Shiatsu (Japanese pressure point therapy), reflexology and orthopaedic assessments. Tomo has a constant thirst for knowledge and drive to refine her skills which is why she has so many different strings to her bow. Currently learning to incorporate Chinese Medicine tools and pushing to take part in a Cancer Massage certification.